This August 21 Cuba will be somehow dark at the wrong time. A solar eclipse will be seen partially throughout most of the country from 11:46 and will end at 17:04 (Cuba local time). The eclipse will be seen entirely in the United States, and partly in South America, Western Europe, the extreme of West Africa, the extreme East Asia, the North Pacific Ocean and the North Atlantic Ocean. This phenomenon implies an alignment between the sun, the moon and the Earth. The phenomenon occurs at different times and is different from each place of observation. 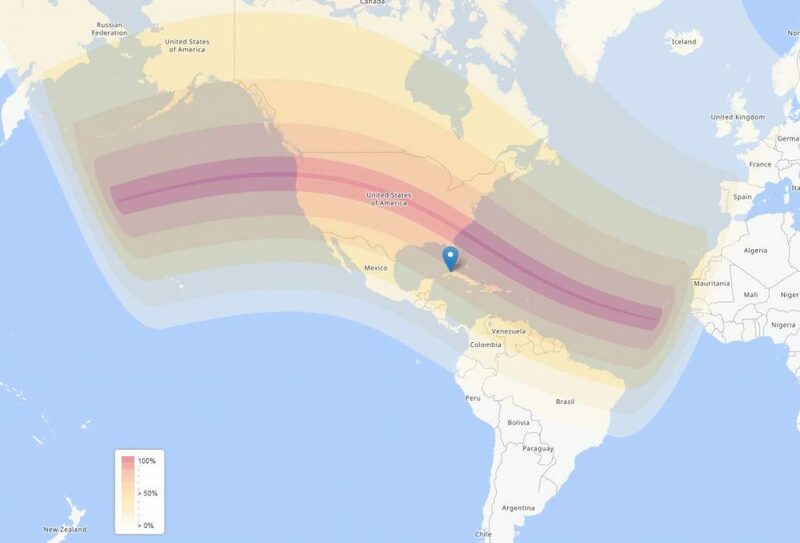 Map of sun coverage during august 21st, 2017 solar eclipse. Cuba at 60% coverage. The last total solar eclipse observed in Cuba occurred on July 9, 1878 and crossed over the western half of the country. The next ones will occur on June 13, 2132, and June 28, 2299. The eclipses observed as partial were and will be much more frequent: one every two years on average. 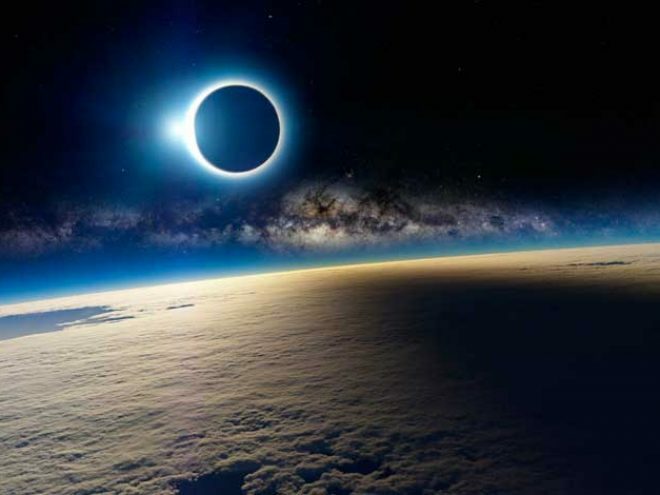 The main recommendation is that you DO NOT directly look at the eclipse at any time because direct observation is more dangerous in partial eclipses than in total eclipses. Welder crystals, smoked or polarized lenses are NOT suitable for this type of observation. – Approach a specialist who has the equipment with the appropriate filters for this type of astronomical observations. – On a piece of paper or a sheet of paper, make a hole with the tip of a pin and project the light that passes on another sheet and observe it in the projected image. – Use mirrors to project the reflected image on a screen or on a wall. – Point a pair of binoculars to the phenomenon, without looking directly, but rather observing the image that is projected on the ground by the other end.